In the United States today there are approximately 44 million people who are caring at home for family members including elderly parents, and spouses and children with disabilities and/or chronic illnesses (you are not alone). As you know, without this home care, most of these loved ones would require permanent placement in institutions or health care facilities, which is not desirable or affordable to many families. For many, the challenges of caring for a loved one are part of daily life. Care giving is a demanding, difficult job and no one is equipped to do it alone. Getting help is essential for your health, and your resilience is critical for your loved one. 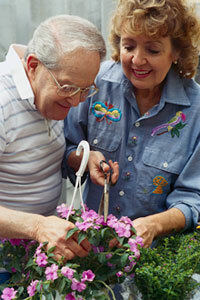 Respite Care provides short-term breaks that relieve stress, restore energy, and promote balance in your life. At Preferred Care Plus, we know what it means to provide care for a loved one, and we are here, with quality professionals, to give you that much needed break, even if its just for a little while. We provide services that keep families together.